You can delete tg_common.glsl and tg_clouds_height.glsl files from addons/shaders folder to revert to the original clouds. 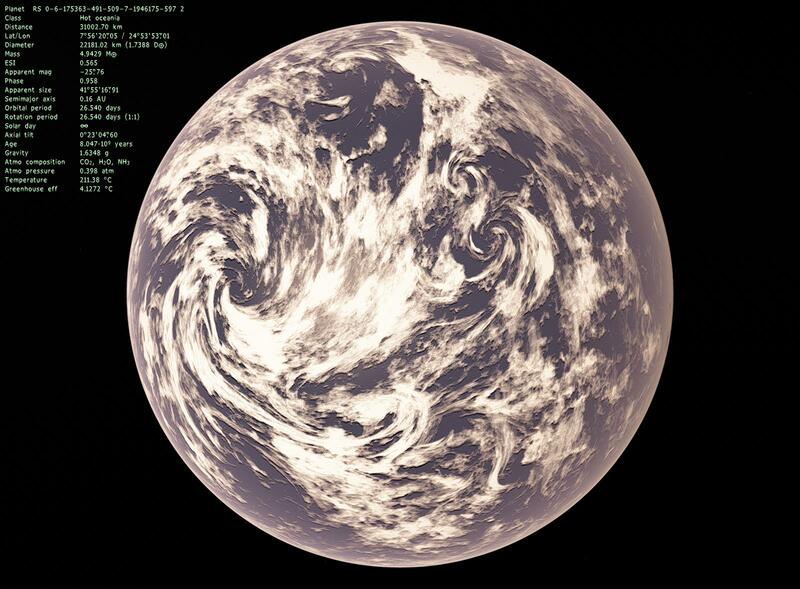 Regarding tidally lockd planets, I guess that's a matter of opinion which version looks better... I was trying to get a more realistic appearance to the the clouds instead of the regular ones, wich I think looks boring and unnatural..
...but as I said, it is a matter of opinion. Note that the cloud coverage is a little less than the original one. Perhaps this is the issue... In my shaders, there are two types of clouds that are created together . One that looks more spotty-like and other that are more wavy-like. Since they are together I had to decrease the coverage so I didn't fill the entire planet. I could increase it alittle bit, although I tried doing that before and didin't like the results. In your example, the planet probably had a low cloud coverage to begin with. Rodrigo, you using reshade for your pics? They look incredibly detailed. Yeah, reshade is awesome. I use lots of lumasharpen, and just a tiny bit of vibrance and emboss effects. Makes it look a tottaly different game... SpaceEngineer should think about inserting this effects in the proper program. Do you have the reverse-z depth buffer turned on by any chance? I dont remember how to get reshade to work since the my Intel HD 4400 is able to handle the new reverse-z now. Ah that makes sense. Hopefully version 3 comes out soon, so it can be used with reverse-z. It will be glorious! 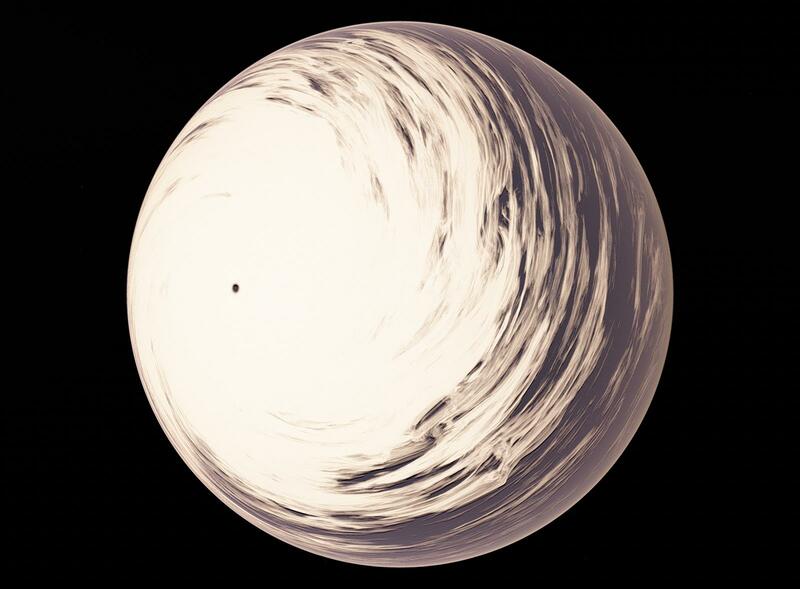 PlutonianEmpire, have you tried the updated Reshade? I still use an older version for the earlier SE versions. Do I uninstall that one first, before installing Yours and Bambusman's update? Yeah, you need to remove it. Yeah not working for me. Black screen. Disabling the effects or removing the link to SE brings the game back. I take it my Intel HD card is too old at this point? It is an Intel HD 4400. Can we move this to the reshade thread to minimize disruption of this thread, please? I don't know what Intel HD 4400s support but Reshade requires OpenGL 4 or higher support. Can we move this to the reshade thread to minimize disruption of this thread, please? We could but a slight deviation off topic for a couple posts won't harm anyone. If you want to continue discussing Reshade you can post there. My card supports OpenGL 4.3, so it meets that requirement, AFAIK. Rodrigo, I had to compile your shaders into the default pak to make them load. tg_common shader is not loaded outside of the pak. DoctorOfSpace, you mean that customized shaders ( Rodrigo's, PlutonianEmpire's,) in SE\addons\shaders subfolder are not loaded (ignored) by the engine ? ?